Gently spoon red glaze over the white glaze. Oh my goodness, I could eat my screen! 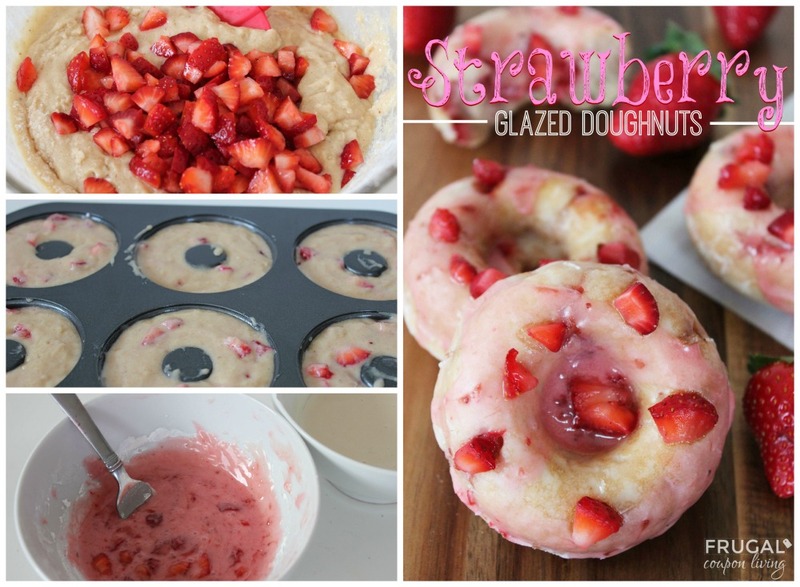 @y_celina_ added extra lemon and lemon zest to our Strawberry Doughnut Recipe and it looks amazing! Recipe link in profile, search Strawberry Glazed Doughnuts. Check out what Bella did on Instagram. We love how she added the extra Lemon and Lemon Zest! The strawberry doughnuts look amazing. Thanks for sharing on Wonderful Wed. blog hop. Pinned. These look delicious!!! Pinning and Stumbling! Do you mind if I use this in a Valentine’s Day round-up next month? 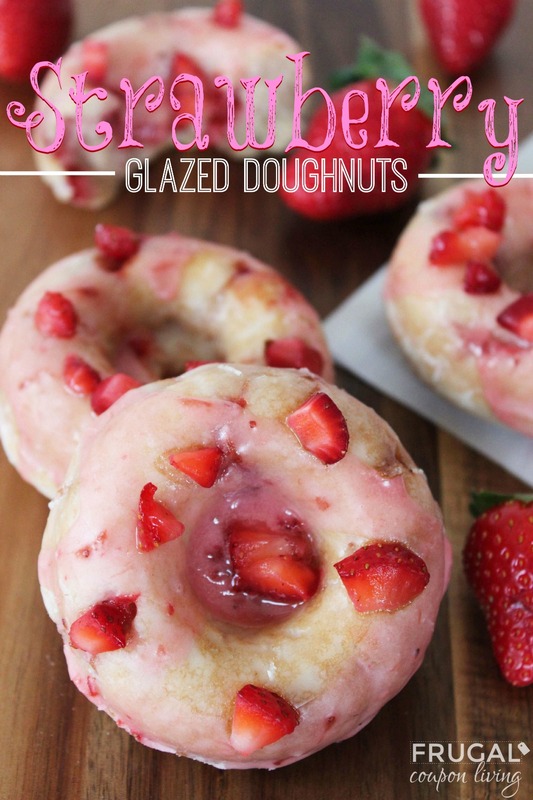 Your Baked Strawberry Glazed Doughnuts look awesome!